'Penthouse workplace for boutique firm'. Tyndall Investments (TI) is an award winning specialist Australian investment management organization. FutureSpace assisted TI in relocating to Level 31 (the penthouse) of 420 George St after they were acquired by Nikko Asset Management. 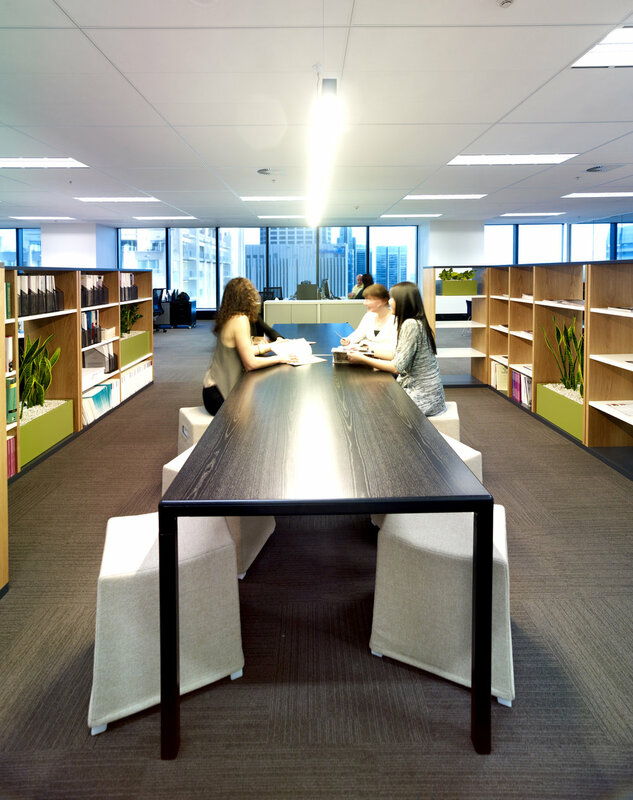 The main objective for the new workplace was to create an environment that would acknowledge the Japanese parent company and their global presence, whilst retaining an authentically ‘local’ and therefore Australian attitude. 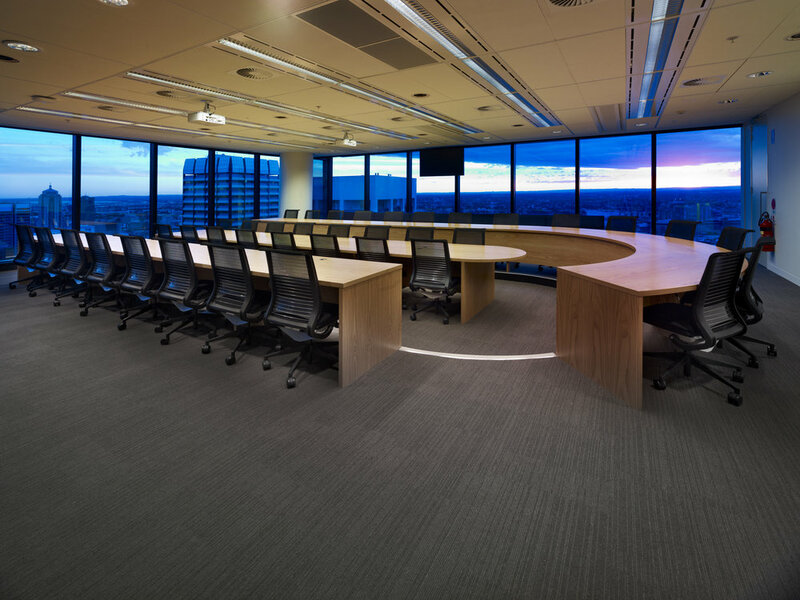 The physical environment includes individual offices, open plan work zones, a reception and greeting area and The Fund Academy – a technologically advanced facility allowing key investment decisions to be discussed in an innovative forum setup. 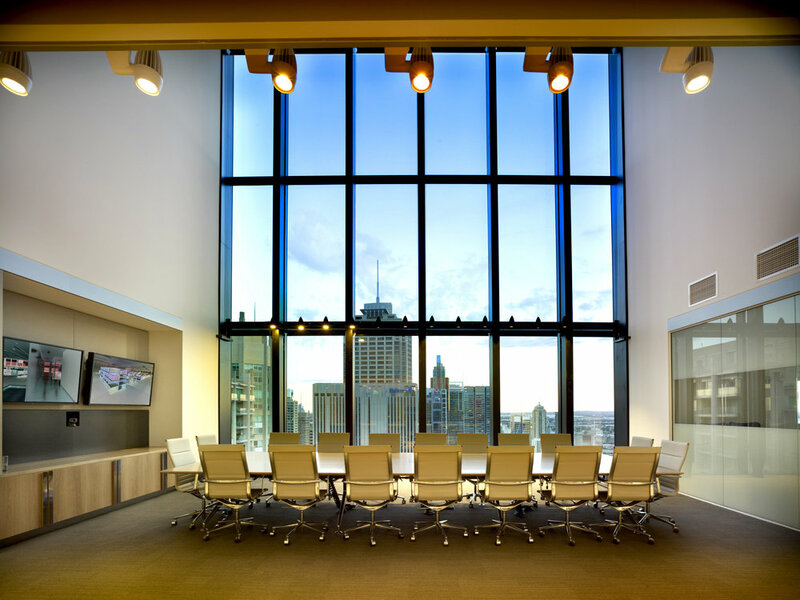 Adjacent to the Fund Academy is the Gallery allowing passive observers to view either the boardroom or the Fund Academy in action.